Dine N Dance, Grandson of the Famous RUGGED LARK! 12 yr Old Gelding and Grandson of the Famous Rugged Lark! 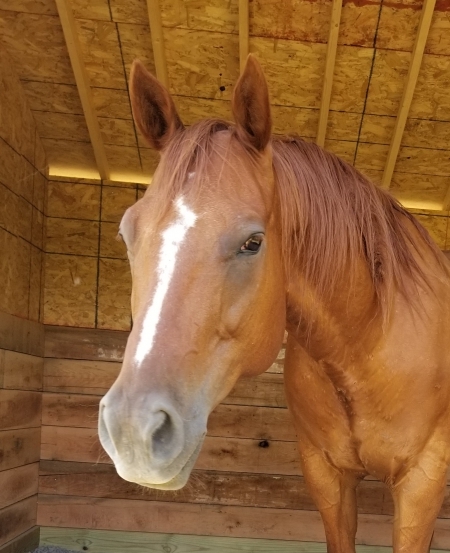 This gelding's owner passed away, and needs a home where he will be loved. He's a very easy going horse, with limited training but he will do anything you ask. He has been saddled and bridled, lunged, feet trimmed, up to date on all shots and dewormings. He hauls good and is willing to learn his new ways with you. 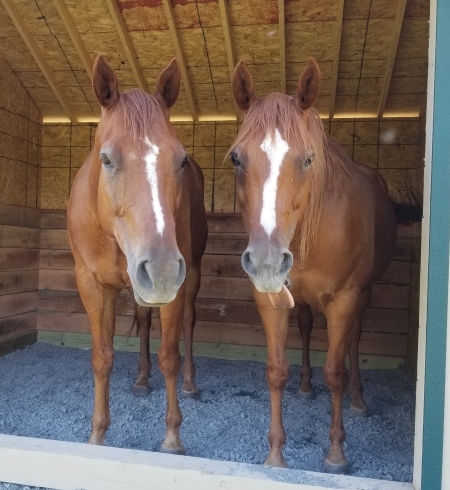 His owner didn't finish training his horses under saddle, they live outside and are tough enough to survive any weather conditions. Selling due to owner passing away. He is not saddle broke, but has been lunged and has been saddled and bridled. No buck so far. He is up to date on vaccinations and deworming. Superior blood lines! He is a grandson of the Famous Rugged Lark! 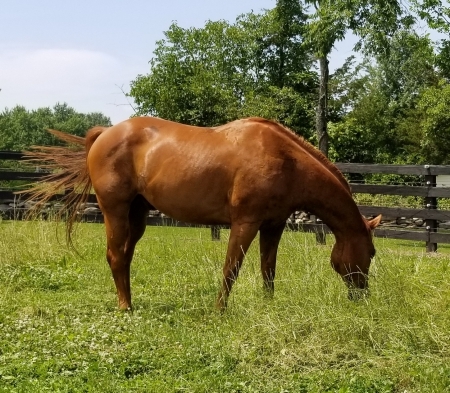 This gelding is worth his weight in gold! His grandmother was also World Champion in 1981, and is on the cover of the Quarter Horse Journal for January 1981. He is HYPP N/N and is 100% sound in mind and body! Ready to train under saddle and enjoy his life. 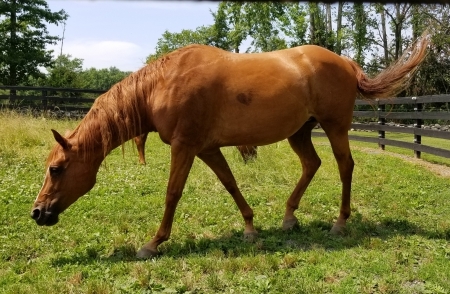 Reining, dressage, driving, hunter, pleasure horse, Breyer model, sire, bronze statue, Silver Spur winner, AQHA Superhorse, philanthropist. That was Rugged Lark. The 1981 bay stallion died in 2004, leaving a legacy of goodwill and a string of accomplishments that would make any professional athlete blush. The bay stallion was sired by Really Rugged (TB) and was out of Alisa Lark. Carol Harris of Bo-Bett Farms in Ocala, Florida, bought Rugged Lark as a yearling. During his show career, “Lark” won the 3-year-old hunter under saddle at the 1984 All American Quarter Horse Congress; two Sooner trailer Superhorse titles at the AQHA World Championship Show, one in 1985 and the second in 1987; world championships in pleasure driving and senior hunter under saddle; and reserve world championships in pleasure driving and senior western riding. Rugged Lark also sired two Superhorses, The Lark Ascending in 1991, and Look Whos Larkin in 1999. Regal Lark was reserve Superhorse in 1993. It was after Lark’s retirement at age 6 that he also became a superstar. Trainer Lynn Palm rode Lark bridleless in 1987, during the Superhorse awards ceremony. The duo received a standing ovation. In 1989, the bay stallion became a model for an extremely popular Breyer collectible horse. Lark was asked to perform at the Volvo World Cup Competition in Tampa, Florida and at the 1989 Festival of Champions for the United States Equestrian Team. In 1995, Lark performed at the Festival of Champions again and was AQHA’s ambassador to the 1996 Olympics in Atlanta. The stallion received AQHA’s Silver Spur award in recognition of his efforts as an ambassador and entertainer. The stallion’s last performance was in 1997 at the Florida Reining Horse Classic. Rugged Lark died in 2004, and was inducted into the American Quarter Horse Hall of Fame in 2006. You need to log in or register to email seller. Use this form to send a friend email about this ad. We'll attach the URL of this ad to the email. If something does not smell right, please let us know. Revenues Lark, Granddaughter of the Famous RUGGED LARK!